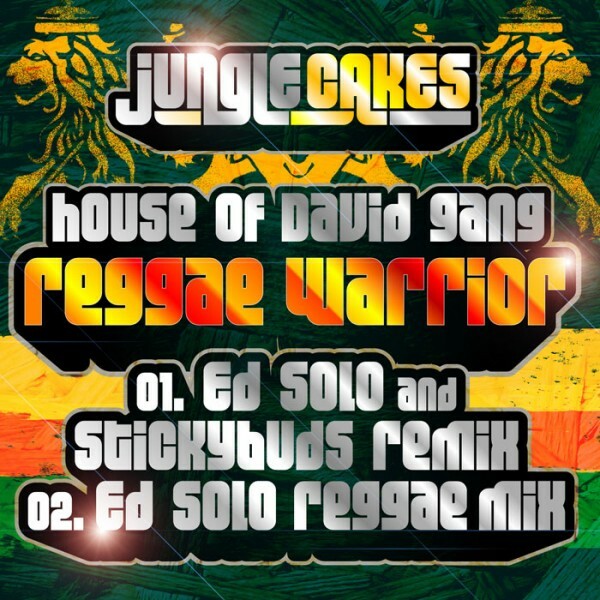 Ed Solo & Sticky Buds meet House of David Gang and bring you “Reggae Warrior” . The Jamaican spirit lives everywhere! Ed Solo’s reggae mix is a smooth, swaggering blend of classic reggae, rocking guitar licks and laid back grooves. Picking up the pace, the Ed Solo and Stickybuds Ragga Jungle Drum And Bass edit adds super tight drums and a dancefloor-heavy bassline to get those arms flailing and those bodies grooving. Two very different sounds from one classic track, if you’re a reggae warrior, you can’t miss this. Released on Jungle Cakes comes courtesy of Canada’s, House of David Gang. Proper chilled out, but incredibly funky reggae vibes on this jam, as the name suggests. Serious bass shakes your sub out of its box, and your windows out of their frame. All the classic elements melt into one big pile of funk. Rhythm guitar, ragga stabs and vocals provide the laid back groove and are spurred along by sensational guitar licks. 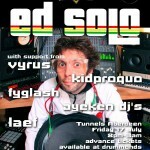 Ed Solo and Stickybuds turn up the heat, and the tempo with their reggae jungle drum and bass remix. Keeping somewhat true to the original with many of the orignal stems in play, they add some super tight drums, some heavy bassline wizardry and smash out an absolute gem that is impossible not to groove to. When we say groove, we mean dance uncontrollably with arms flailing and a big grin from ear to ear!